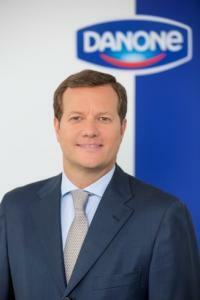 Alejandro Pinillos was promoted to CEO Bonafont – Danone Waters Mexico in May 2017. Prior to this he was appointed Category Growth Officer in 2015 taking the lead for the Top Line functions (Marketing & Sales) for Danone Dairy Division, based in Paris HQ. Previous roles include General Manager Danone DACH (Germany, Austria & Switzerland) based in Munich (2014-2015), and General Manager Danone Early Life Nutrition Italy (Mellin SpA) & Greece (Numil SA) based in Milan (2010-2014). Previous Marketing roles include VP Marketing for Danone ELN division (Early Life Nutrition) based in Amsterdam HQ (2007-2010), Marketing Director Danone Italy (2004-2007) and Activia Global Marketing Director (2002-2004) based in Barcelona. Alejandro joined Danone Spain in 2000 and started his Marketing career in P&G Spain in 1994.Alejandro Pinillos holds a Business Administration degree from Universidad Complutense (Madrid) and an MBA from Cass Business School (University of London).